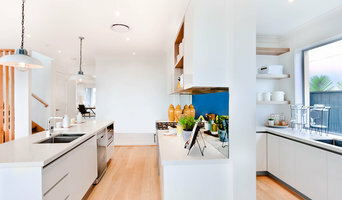 Quality custom kitchens and cabinets on the Gold Coast For over 20 years our business has been creating fresh and unique kitchens for customers in Brisbane and the Gold Coast. We only use the finest quality materials and tools to ensure that your kitchens and cabinetry will last a lifetime. Whilst cheap manufactured cabinets and vanities begin to warp and bend with time, ours will continue to look stunning. Our cabinetmakers pay meticulous attention to detail on every product, whether you require one or one hundred custom cabinets. We specialise in new builds and can work with you or your designer to ensure continuity throughout your home. You can relax in the knowledge that the experts are handling the design, building and fitting of your new luxury cabinets. Our commercial and domestic clients always have their doors open for us based on the excellent service and workmanship that we provide. If you’re looking for a new or renovated kitchen, or bathroom vanities, we’ll deliver a makeover with a quality finish. If you need more storage space, we build high quality wardrobes & wall units, and do high quality installations with no mess left over. With lots of experience in shopfitting and commercial cabinetry, we can offer stylish and cost effective solutions for you. Aseeos Services is a one stop shop, Brisbane-based, which can follow you from the beginning to the end. We have several years of experience in the design, manufacture, and installation of kitchens, vanities for both residential and commercial. 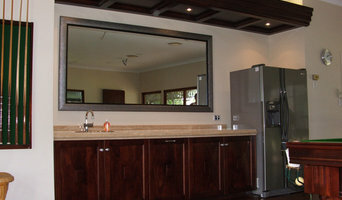 We also specialise in Imported 2Pac white gloss kitchen and vanities with 20mm stone. Our team, which has more than 35 years of experience in this field, will follow the process from the beginning to the production and installation of cabinets, bench tops and splashbacks and tiles (also flooring which includes vinyl or timber). Our team has also an Italian Interior Designer who can customize and give advises and elaborate 3D images. With our team, you can create and achieve all your cabinets’ desire with a reasonable price and high quality. Services Provided Cabinet Installation, Custom Bathroom Vanities, Custom Bookcases, Custom Built-ins, Custom Cabinets, Custom Entertainment Units, Custom Home Bars, Custom Kitchen Cabinets, Custom Pantries, Custom Shelving, Custom Walk-in Wardrobes, Wardrobe Design. Hammertime Kitchens are committed to delivering the highest level of professional service and workmanship. We pride ourselves in being punctual, clean and swift, whether you’re renovating an existing dwelling or building a brand new one we are prepared to go the extra mile to ensure the whole process is accurate and straight forward leaving you with the kitchen you’ve always dreamt of. 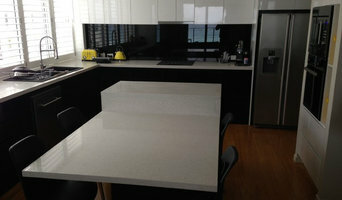 We are a located on the northside of Brisbane, with 10 years experience in kitchens and shopfitting. Our focus is on the individual to create a flexible and tailor-made kitchen with a personal touch. Our process involves one of our representatives coming to meet you at your home to discuss your exact requirements as to materials and budget. With our 3d CAD design software, we are able to come to your home and help design your dream kitchen, bathroom, wall unit or wardrobes. Our aim is to achieve a maximum result that fits your budget. We also give our clients the opportunity to buy in a flat pack (D.I.Y.) to let the handyman hubby save a few bucks. We use the highest quality of hardware to ensure the life of your kitchen. We stand by our product and offer a 10 year guarantee. Also backed by the QBSA 6 year guarantee. Hammertime Kitchens are also members of master builders to offer more security to our customers and ourselves. From start to finish, the hammertime kitchens team will be 110% attentive and make sure the finished product is another one that we can be proud of! We offer a no obligation, free quote and kitchen design. When you embark on the journey of renovating or building from scratch you want to know you can rely on the supplier. OJ Kitchens & Joinery’s reputation for quality workmanship and more importantly, our reliability of service has earned us a benchmark within the building industry, which has placed us in the position of being sourced by architects and private builders for projects necessitating detailed expertise.’ It is no small feat in a competitive industry that OJ Kitchens is still thriving after 30 years in business. The name has recently been changed to OJ Kitchen’s & Joinery to encompass the core business activity, all your cabinetry requirements. Established in early 1980’s, by Olle Johansson, OJ Kitchens & Joinery was purchased by the Prole family in 1999 and is still today a family owned and operated business able to deliver innovated joinery designs to suit any budget. 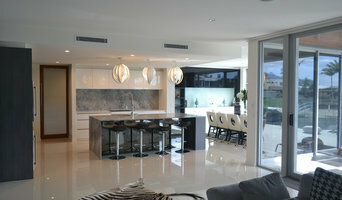 OJ Kitchens & Joinery has become the supplier of choice for many of Brisbane’s leading architects and builders. It is also where you’ll find the most discerning customers seeking the highest quality products and expert advice. T & T Cabinets have been servicing the Redlands for over 20 years, and prides itself on providing modern stylish kitchens that incorporate skilled craftsmanship, design, and functionality. T & T Cabinets work in all areas of cabinetry, from custom made wall units, bathroom vanities, display cases, and of course a wide range of kitchens. With our experience we make sure that any cabinetry undertakings will exceed your quality expectations. This provides you with peace of mind as to your kitchens durability and overall appeal. Homeowners, interior designers, architects, and custom home builders are provided with a sophisticated setting featuring custom cabinetry of the finest quality. Our goal is to offer the unique concept of complete custom service, from design phase through to the installation, in a highly professional and efficient manner. We are a privately owned and operated company that will provide quality products and excellent customer service to each and every client. While many improvements have occurred in the way we serve our customers there is never room for complacency. That is why our Customer Service Standards and product offer is constantly being reviewed to ensure they still represent best practice. Our can do approach is one where we focus on how much and how best we can help each customer rather than on what we can’t do or how difficult it will be… We will listen to you and clearly interpret your stated requirements and consider whether we might have additional services or information that could help you to achieve your dream. Please browse our photo gallery to see the standard and finish you can expect if you choose Cadmac Kitchens for your next project. Follow the link in the footer at the bottom of this page to read our Terms of Trade document. Brisbane Kitchen Removals is a family owned business that offers a professional service for the removal and disposal of kitchens. I have over 20 years of experience, and have removed thousands of kitchens in this time. 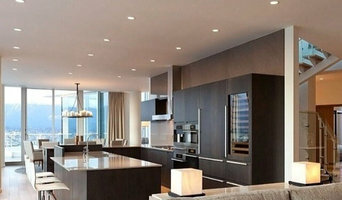 You can have complete confidence that I will be able to remove your kitchen without any problems, as I have come across every type of kitchen that can be found in the home. I work for kitchen companies and associated businesses throughout all areas of Brisbane. I also work with sub-contractors and directly with the general public. My strip-out service includes the removal of splashback tiles and bulkheads with all rubbish dumped at appropriate refuse stations. I leave a neat, clean site when finished and offer a fast, reliable and efficient service with work covered by Public Liability Insurance. Ultimate Cabinets is a family owned business based in the Redlands, and covering the east coast of Australia, with over 25 years of trade experience. Our kitchens are Australian made, and inspired in the latest styles, trends and designs. Ultimate Cabinets offer a wide range of services, from something as simple as replacing a damaged drawer front, to a full kitchen renovation and everything in between, we are here to help. To us every kitchen is as individual as its owner. "I saw the angel in the marble and carved until I set him free." Michelangelo believed a statue lay hidden inside every block of fine stone and remarked, "It is the task of the sculptor to discover it." Akin to the artist, Riccardo Innocenti and Gareth Edwards saw fine architectural appointments, business embellishments, and home enhancements in the exquisite blocks of marble, onyx, granite, and limestone hidden in stone quarries throughout the world. In August 2004, Edwards and Innocenti pooled their 20 years of industry experience. Choosing from Mother Nature's best fine architectural stones, they created the premier Australian resource for handpicked natural stone products, Finestone. In 2005, Finestone relocated to accommodate our ever-increasing selection of uniquely beautiful, natural stone products. Finestone is committed to bringing an unparalleled choice of natural stone products to our clients. Gareth and Riccardo pride themselves on "walking the extra mile". Specialising in custom orders of rare and exotic stone, that extra mile may take us to distant locations in Italy, India, Brazil, or Africa. Our unmatched product range and excellence in service combine to make Finestone the preferred resource of builders, architects, designers, and stonemasons throughout the Australian Gold Coast.